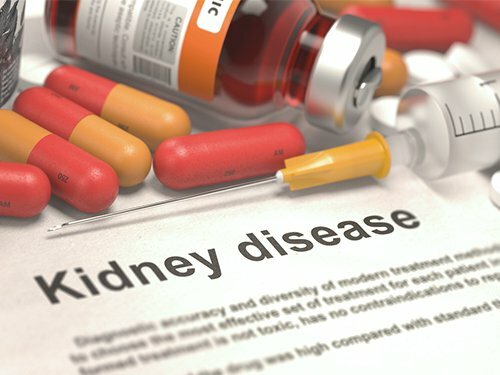 What are the best herbs (and foods) to boost kidney function? Drink your water! Water remains one of the best things you can do to improve kidney function. Without enough water, your kidneys will NOT function properly. Many holistically-trained physicians recommend drinking about ½ your body weight – in ounces – of pure (clean) water per day. And, of course, avoid drinking tap water for obvious reasons. A clean source of spring water – that has been properly tested for impurities – is a great way to stay hydrated. If you can’t get good quality spring water; then you may want to invest in a reverse osmosis (RO) water purification unit – which can be attached to your sink or, if you can spend the money, get a system for the entire house. You can also drink unsweetened herbal teas. Just make sure you avoid caffeine and sugary drinks, since these can be dehydrating. And, by all means, do NOT drink (or eat) any product with artificial sweeteners – which is extremely toxic to the entire body. Watermelon is a wise choice. This delicious, hydrating treat is an excellent kidney tonic. It has diuretic properties, so it helps your body produce more urine. The more urine you excrete, the more waste products are being removed from your body – which is good for your overall health and well-being. Even the National Kidney Foundation recommends a ‘watermelon spritzer’ for better kidney health. Of course, a diet filled with water-rich vegetables (and fruits) would be ideal – much better than drinking spritzers for health. Give yourself a squeeze of lemon. Half a cup of lemon juice, per day, will help prevent kidney stones from forming. Simply add it to water and let it dilute – so you can drink it easily without it being too sour. Lemon juice is a simple, inexpensive way to safeguard your health. Dr. Allan Jhagroo, a kidney health specialist at the University of Wisconsin, recommends sugar-free lemonade to his kidney stone patients. Again, just be sure that none of your ‘sugar-free’ drinks containaspartame – which is a neurotoxin. Ginger is a strong antioxidant and anti-inflammatory herb which helps to effectively move toxins through the kidneys. There is plenty of research to suggest that ginger has a positive effect on kidney function. You can use it in a variety of ways, such as an extract or as a daily tea. You can also chop it up raw and put it in salads and smoothies to get the same kidney boosting benefits. Best of all, unlike toxic pharmaceutical drugs, none of these suggestions increase your risk of sickness or disease symptoms. Remember, healthy kidney function is a must for strength and vitality. So, stay hydrated and be well. Sometimes referred to as ‘mother cells’, cancer stem cells are the cause of a wide range of cancers, not simply breast cancer. These ‘mother cells’ are responsible for creating the different ‘daughter’ cell types that makeup the tumor colony. While cancer stem cells only constitute .2 to 1% of the cell makeup of the tumor, they seem to be almost ‘immortal’. When it comes to breast cancer, 6-shogaol significantly affects the cell cycle, resulting in increased cancer cell death. It induces programmed cell death through the induction of autophagy. It also inhibits breast cancer spheroids (lumps) from forming. But that isn’t the only astounding thing about 6-shogaol. More research needs to be done to show how ‘modern cancer medicine’ is not as effective as natural remedies. We can not be making our bodies sick while trying to cure a disease, that is simply not enough anymore. So, how does activated charcoal work? Activated charcoal works by trapping toxins and chemicals in its millions of tiny pores. Typically, however, it’s not used when petroleum, alcohol, lye, acids or other corrosive poisons are ingested. It doesn’t absorb the toxins, however. Instead it works through the chemical process of adsorption. In the body,absorption is the reaction of elements, including nutrients, chemicals and toxins, soaked up and assimilated into the blood stream. Adsorption is the chemical reaction where elements bind to a surface. The porous surface of activated charcoal has a negative electric charge that causes positive charged toxins and gas to bond with it. 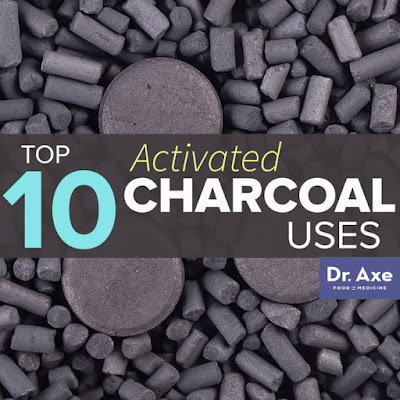 The nooks and crannies in activated charcoal are created through a heating process. It’s important to note that activated charcoal is not charcoal used in your barbecue grill! Barbecue charcoal is loaded with toxins and chemicals, and should never be consumed. Whenever you take activated charcoal, it’s imperative to drink 12-16 glasses of water per day. Activated charcoal can cause dehydration if adequate amounts of water aren’t consumed in tandem. In addition, this helps to flush out the toxins quickly and prevents constipation experienced by some individuals. BE CAREFUL, it can (and will) stain grout and fabrics. Protect counters, floors and clothing before using. For best results, brush your teeth with activated charcoal two-three times per week. Note: If you have crowns, caps or porcelain veneers, it’s possible that activated charcoal will stain them. In addition, if your teeth become sensitive, quit using it. While activated charcoal does not adsorb alcohol, it does help quickly remove other toxins from the body that contribute to poisoning. Alcohol is rarely consumed in its pure form; mixers that include artificial sweeteners and chemicals are common. Activated charcoal removes these toxins. In addition, when activated charcoal is taken at the same time as alcohol, some studies show it can significantly reduce blood alcohol concentrations. (5) Princeton University’sFirst Aider’s Guide to Alcohol indicates that activated charcoal is administered in some situations related to alcohol. (6) This includes if the individual is unconscious or showing signs of acute alcohol poisoning. Most people don’t think about mold living in their bodies, but it can. Toxic mold causes depression, kidney and liver failure, decreased brain function, heart disease, eye irritation, headaches, vomiting, impaired immune system function, and severe respiratory distress. If there is visible mold in your home, it must be mitigated properly. It’s important to wear gloves and a protective mask to keep from inhaling toxic mold during cleanup. Baking soda, apple cider vinegar, tea tree oil and borax can be used to clean mold off hard surfaces and keep mold from growing in the future. Activated charcoal traps impurities in water including solvents, pesticides, industrial waste and other chemicals. This is why it’s used in water filtration systems throughout the world. However, it doesn’t trap viruses, bacteria and hard-water minerals. According to a study published in the Journal of the Canadian Dental Association, activated carbon filters (activated charcoal), removes some fluoride. (7) Avoiding fluoride and detoxing from it is important for oral health, proper immune system functioning, and healthy kidneys and liver. Drinking water is essential to good health; however, typical tap water is toxic and laden with chemicals, toxins and fluoride. Ingestion should be limited whenever possible. Activated charcoal water filters are available for whole-home systems, as well as countertop models. Drink eight-10 glasses of pure water per day to help soothe the digestive tract, fight fatigue, keep organs operating, and provide lubrication for joints and tissues. 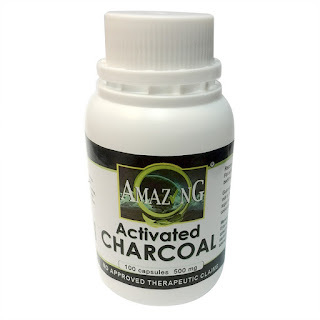 Activated charcoal is also used in the event of an accidental, or purposeful, overdose of many pharmaceutical drugs and over-the-counter medications. 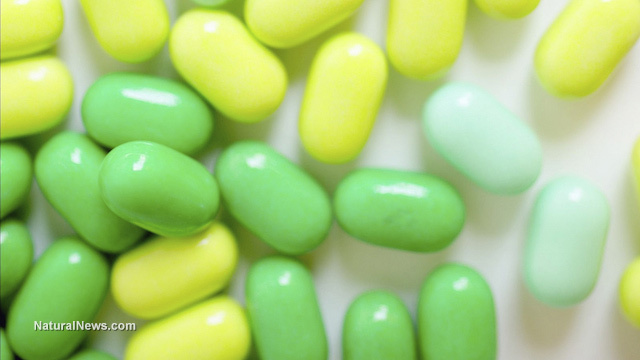 It’s effective for aspirin, opium, cocaine, morphine and acetaminophen. It’s important that the proper amount is administered as quickly as possible — definitely within an hour of ingestion. Environmental factors, including pesticides on food, chemicals in the water we drink and exposure to mold, create a toxic burden in our bodies. It’s important to routinely cleanse the digestive tract to support overall health and wellness. To complete a digestive cleanse with activated charcoal, take 10 grams 90 minutes prior to each meal, for two days. During the cleanse, eat only organic fruits and vegetables, grass-fed meat, and wild fish. If during the cleanse you find you are constipated, this is a sure sign you’re not consuming enough water! Drink a glass of warm water with a slice of lemon and a touch of honey every half hour until constipation is relieved. For this activated charcoal use, take two capsules per day after exposure to nonorganic foods, heavy meals or after contact to other toxins. This supports better cognitive function, a reduction in brain fog, healthier kidney and liver function, and a healthier digestive tract. drive up their stock price. 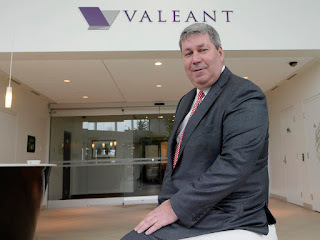 Enter J. Michael Pearson, The current CEO of Valeant Pharmaceuticals who recently said that his company’s responsibility is to its shareholders, while making no mention of his customers who rely on his drugs to live. Already this year, Valeant has increased the price of 56 of the drugs in its portfolio an average of 66 percent, highlighted by their recent acquisition, Zegerid, which they promptly raised 550 percent. Not only does this have the unfortunate side effect of placing the price of life-saving drugs out of reach for even moderately-insured people, but it has now begun to call into question the sustainability of this rapidly-spreading business model. In an interview with CNBC, Pearson defended his business practice of acquiring drugs instead of investing in research and development. Since being named CEO in 2008, Valeant has acquired more than 100 drugs and seen their stock price rise more than 1,000 percent with Pearson at the helm. But it appears that all of the public backlash over price gouging of prescription drugs, which has included both Hillary Clinton and Bernie Sanders taking a stance against the practice as a platform in their respective presidential campaigns, has placed the practice under tremendous scrutiny. The House Committee on Oversight and Government Reform is planning to issue a subpoena for information on recent price increases from both Pearson and Shkreli. And that pending investigation has sent Valeant’s stock price tumbling more than 27 percent in the last month, which may have shareholders concerned enough to wonder if Pearson pushed too hard for too long.